View Temecula real estate wine country from above during a hot air adventure. Colorful balloons from A Grape Escape Hot Air Balloon Adventure send guests soaring through California skies. Wine country vines plump with grapes, area wildlife, brilliantly blue lakes, citrus groves, and sophisticated custom Temecula homes are all leisurely inspected by those floating by. Groups meet in the early morning hours at Europa Village Winery. Here the pilot goes over the flight itinerary. The balloon launches at sunrise. Experts in the region, points of interest and amusing tidbits of trivia are mentioned during the trip. Popular properties near Temecula real estate include Lake Skinner, Old Town Temecula and Pechanga Resort and Casino. Champagne, mimosas and more are refreshing compliments on the ride. Once back on the ground, participants are welcomed back with a casually elegant continental breakfast. Adventures in the sky last approximately an hour and occur seven days a week. Reservations are required and can be made online or by calling 951.699.9987. 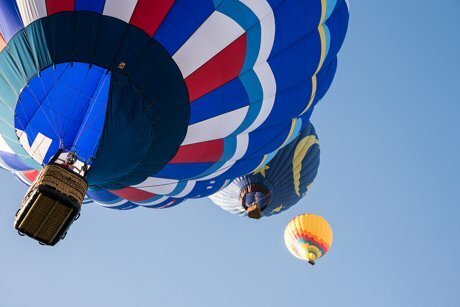 Balloons are state of the art with safety innovations ensuring a relaxed and comfortable ride for all. Cross riding in a hot air balloon off your bucket list and take flight with Grape Escape Hot Air Balloon Adventure.